Fresh from the swankiest kitchens in Palm Beach (The Breakers, Café L’Europe and the Four Seasons to name a few), Chef Michael Hackman brings his culinary prowess to West Palm Beach’s Southend. Hackman, a Lake Worth native and dedicated family man, opted to leave the crazy restaurant work hours behind and spend more time with his children. He transitioned into a successful role as private “chef-trepreneur” and restaurant consultant, amassing an impressive client roster. 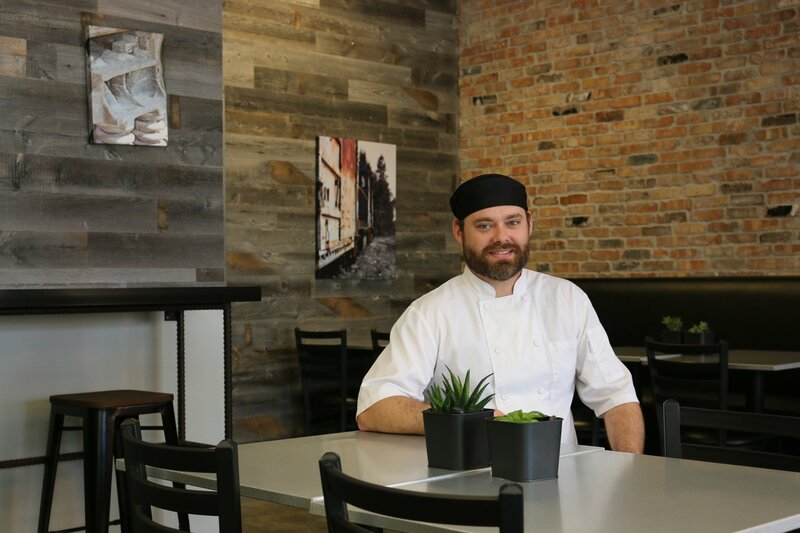 Then, in September of last year, Hackman fulfilled another dream when he opened Aioli, an “industrial-chic eatery” and juice bar in the Southend. SoSo foodies have delighted in the restaurant’s casual, locavore offerings and flavorful gourmet to-go options. The innovative menu has an ever-changing daily specials addendum with varying soups, salads, quiches, sandwiches and even a lemonade of the day. Patrons can experience a new culinary experience each visit or remain true to their established favorites. To get the inside scoop on his new venture, we asked Chef Hackman some tough questions. SosSoNews: Describe Aioli in 50 words or less. SSN: What’s one thing you brought from your culinary “upbringing” in Palm Beach’s poshest eateries when creating Aioli? SSN: What menu item has created the most addicted patrons? SSN: If you were stranded on an island and could only bring one of your sandwiches, which sandwich would it be? SSN: What’s a quote you live by? SSN: What was a “must have” in your new restaurant? SSN: Why the name “Aioli”? Make a New Year’s resolution to toss those tired take-out menus. Stop in this SoSo hot spot to sample Chef Hackman’s amazing creations and become one of his growing legion of fans. 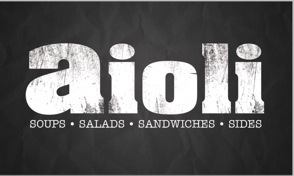 Aioli is located at 7434 S. Dixie Highway on the south east corner of S. Dixie Highway and Summa Street, 1 block south of Forest Hill Blvd. Keep an eye out for the black & white aioli sign above all the rest.